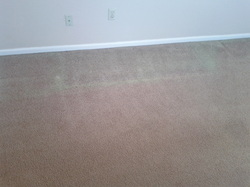 Wet carpet and cushion resulting from a flood or fire can often be salvaged. The carpet should be pulled up, the wet cushion removed, and the carpet completely dried. Once dry, new cushion can be provided and the carpet re-installed.